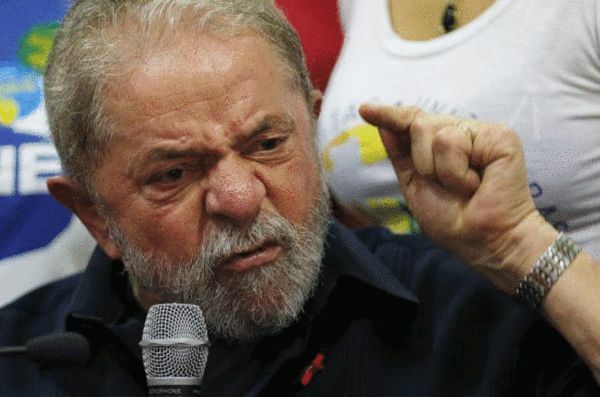 Luiz Inacio Lula da Silva, the former president of Brazil, was charged this week with the crime of money laundering. Officials say they have evidence the former president and his family benefited from an unlawful real estate deal. That deal affected thousands of Brazilian families. Lead prosecutor Cassio Conserino explained families lost their apartments and lost their chances at being homeowners. Instead of apartments going to families, the real estate was destined for the former president and his family. He added da Silva and his family were under investigation for a year. The prosecutors allege that da Silva and his family were given real estate. Da Silva denies any wrongdoing. He said he is not the owner of the apartment in the coastal city of Guaruja. Money laundering charges have also been brought against the former president's wife and one of his sons. A conviction could result in a prison term of 13 years. The judge in charge of the case must decide whether to accept the charges and move forward with the case. Da Silva also faces other legal problems. There are charges and accusations that he accepted free work on his home in exchange for political favors and benefits. Da Silva governed Brazil from 2003 to 2010. He left office with a record-high popularity of close to 80 percent. He was charged with being an accessory to murder. China has paid highly attentian to money laundering. We benefited from our visits to the library. The game drew thousands of spectators. 1.A conviction could result in a prison term of 13 years. The making of false statements could result in the invalidation of the contract. Protein malnutrition may result in a number of other adverse effect. 2.The judge in charge of the case must decide whether to accept the charges and move forward with the case. He is the vice-president in charge of sales. I'm looking for whoever is in charge of your company.